If you have spent countless hours on SEO yet your blog fails to perform well, an SEO audit might be what you need. The term SEO gets thrown around a lot as a catchphrase in the blogosphere. But what does search engine optimization actually amount to? The answer to that question changes from year to and today we have detailed a comprehensive SEO Audit checklist for 2017. A little disclaimer though before we start. 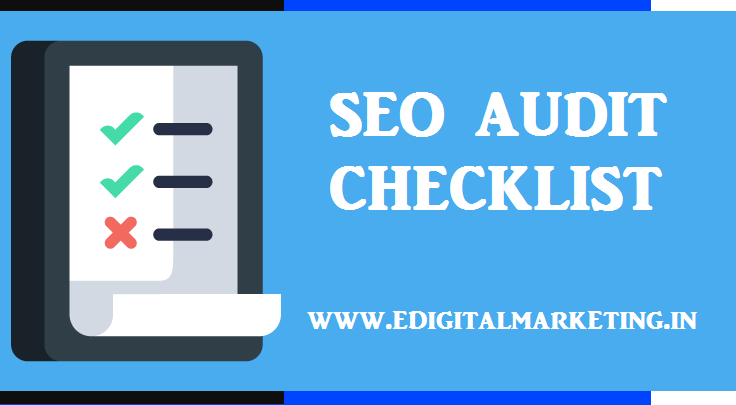 Although we will be looking at all the factors that one must run through for an SEO audit, these are just pointers to get you started in the right direction and not a detailed how to guide. First off, let us start with the On-page SEO checklist. We have divided them into broad categories so that you don’t get lost running a litany of tests on your website. Make sure there are no H1 headings in the body of the content and all subsequent H2 and H3 heading are in the proper hierarchy. Check to see if the chosen keyword for the post appears in the post title, the first paragraph of the post, the last paragraph, in one heading inside the post and in the meta description. Include relevvant author or publisher markup. Look out for thin content and large sized images. Preventing keyword cannibalisation by similarly targeted content. Optimizing Site and Page structure for SEO. With that, we are done with our On-page SEO checklist. Content is King and without informative and unique content, it is very hard to make any headway. This is why we always recommend that you get your website audited by a third part as it adds a much needed outside perspective. A definite content strategy made by a professional can just be the shove in the back your website needs. The On-Page audit is generally the most time-consuming part of the entire procedure especially for sites that have a substantial content library. As for the SEO off-page Audit, while there are a lot more points to cover, the use of tools like Moz, Majestic, SEMRush and Ahref makes it significantly easier to automate. Ensuring an even distribution of links throughout the website. Often overlooked while performing an SEO Audit off-page is the site structure and domain details. They however often play an important part especially with the way content is fed and indexed by Google. Looking into the Domain History for relevant spam scores as well as DA. There are a lot of technical details kinks in a website’s armour that needs to be strengthened out before it can have a chance of ranking in the coveted top spots on Google’s Search results. The final stop on our Off-page SEO checklist is to have a sneak peek at what the competition is stirring up. Understand their content and social media strategy and their reasons for success. And that concludes the SEO Audit checklist. There are a lot of points included in this list and some of them are not possible without the help of an experienced professional. However, all of these factors have a very direct influence on ranking and it is imperative that you stay on top of these SEO issues for your own blog. Even if a website is doing well with regards to traffic, having little niggles can hamper user experience and interaction. Any one of these points have the potential to be the last hurdle that differentiates between a good blog and a great one that is looked up to as an authority in its niche. So what are you waiting for? If you want to scale Google’s ranking ladders and do not want to get penalised for a simple SEO mistake that could be easily avoided, get your website audited today!